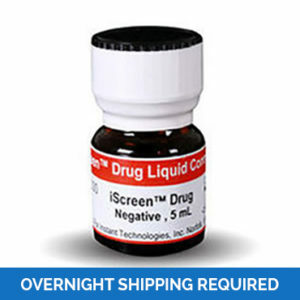 Refrigerated product – Overnight Shipping Required. 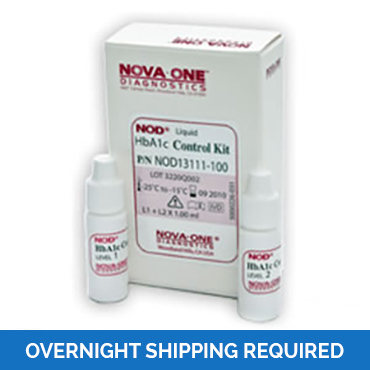 Nova-One control solution is designed for use for quality control testing of A1c reagents. Quality control assessment prior to patient sample analysis will ensure proper performance of instruments and reagents. Nova-One A1c Controls consist of two levels – normal (L1) and abnormal (L2). 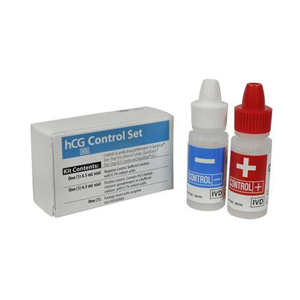 The control solution is formulated using human whole blood to which stabilizers are added. The product is provided in liquid form for user convenience. No further dilution of the control solution is needed. 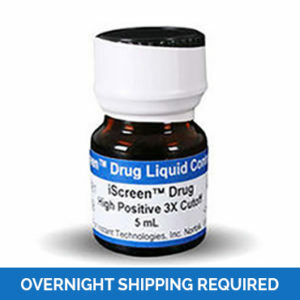 Refrigerated OPENED OR UNOPENED vials are stable for 180 days. Upon receiving the set, mark the specific date refrigerated storage began on the vials. The product is stable when stored at 36-46 degrees F in tightly closed containers. 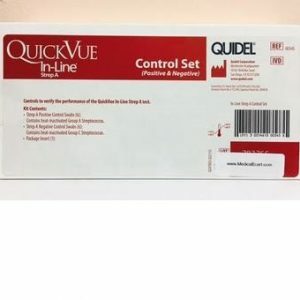 Control vials should be used, wiped clean, recapped and back in the refrigerator in approximately 5 minutes or less to preserve refrigerated stability. Control solution is stable for 180 days when properly stored.